Damian Green is to give his first speech as immigration minister later today, in which he will claim that the number of foreign students entering the UK is ‘unsustainable’, drawing on new Home Office research. The same research has also suggested that it will be very difficult for the Government to meet its target of reducing net immigration to under 100,000 a year. Damian Green is to give his first speech as immigration minister later today, in which he will claim that the number of foreign students entering the UK is ‘unsustainable’, drawing on new Home Office research. The same research has also suggested that it will be very difficult for the Government to meet its target of reducing net immigration to under 100,000 a year. It is certainly the case that foreign student numbers have been growing. The most recent statistics show that the number of student visas issued in the second quarter of 2010 was up 23 per cent on the second quarter of 2009. Student migration flows from outside the EU are at historically high levels – more than 350,000 student visas were issued in the year to June 2010. This increase has come despite significant reforms to the student visa regime made by the last government, which included crackdowns on abuse of the system through so-called ‘bogus colleges’. The weakened pound has made the UK an attractive destination for foreign students – reducing fees and the cost of living in the UK in real terms. British further and higher education institutions have also been actively recruiting more non-EU students (who pay high fees) – many depend on fee income from foreign students to subsidise facilities for UK students, and this dependence will only increase as UK education funding is cut. Increased foreign student numbers are, in some senses at least, good news for the UK – education has become, in effect, a successful export sector. It seems that we must ask: what is the Government worried about? There seem to be two main concerns. The first is entirely legitimate – it seems likely that some abuse of the student visa regime continues, despite the measures taken by the previous government. This may be a particular issue with visas issued for courses below degree level (which account for up to half the total), and with visas issued to smaller colleges and institutions. It seems sensible at least to make more distinctions in the visa rules between more and less trusted institutions, and perhaps between courses at different levels. Their other concern is about total net immigration to the UK. Rising student numbers is one of a number of factors making it harder for the Home Office to meet its target of reducing net immigration to ‘tens, rather than hundreds, of thousands’ a year. Recent rises in net immigration (driven in large part by declining British emigration) took net immigration to 196,000 in 2009, meaning that the Government needs to reduce net immigration by around 50 per cent in order to meet its target. Although rising foreign student numbers increase net migration figures in the short term, most student migration is temporary, so it’s not clear what the impact is in the longer term. For example, last year’s rising student immigration will presumably be followed by rising emigration in two or three years time as students finish their courses and return home, or move elsewhere to work. But Home Office research has shown that around 20 per cent of students who entered the UK in 2004 were still here in 2009 – suggesting that they might settle and contribute to rising net immigration and population. The relatively low proportion of foreign students settling in the UK means that it will be difficult for the Government to reduce net migration in the medium-long term by reducing the number of student visas that it issues. If the Government halved non-EU student visas to 180,000 a year, it would reduce net immigration for a year or two (as fewer new students arrived but larger cohorts from previous years continued to leave), but the Home Office research suggests that it would only reduce net migration by around 35,000 in the longer term (because 145,000 of the 180,000 students denied entry to the UK would have returned home within 5 years anyway). So, a massive reduction in foreign student numbers would get the Government only a third of the way to its target of reducing net immigration from almost 200,000 to under 100,000. Research suggests that only around 40 per cent of non-EU migrants who came to the UK to work in 2004 were still in the country in 2009. This means that the Government’s cap on skilled work immigration through Tiers 1 and 2 of the Points-Based System (PBS) will also have a limited impact on net immigration in the medium-long term. If the Government used the cap to make a huge cut in the number of PBS Tier 1 and 2 visas issued and halved numbers (including dependents) from around 100,000 to 50,000, the Home Office research suggests that this would reduce net immigration to the UK by only around 20,000 in the medium-long term. So, the new Home Office research suggests that even drastic policies like halving the number of student and PBS Tiers 1/ 2 visas issued each year would get the Government only around halfway to its target of reducing net immigration from almost 200,000 to under 100,000 a year. Policies like these would have major implications for the UK – reduced economic growth, more pressure on the fiscal position, under-staffed public services, and colleges and universities closing. Many people in the UK want to see immigration reduced, but they also need to understand what the consequences of the policies that this requires would be. 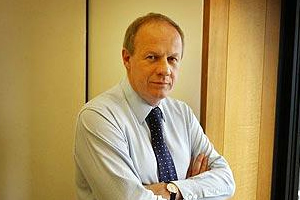 Damian Green may be at a loss with his policy of reducing net immigration to under 100,000. Both of the Miliband brothers seem to be on the right track on this issue. They seem to have accepted that immigration is more often a symptom than a cause of problems in the UK. They are also agreed that Labour’s pre-election immigration policy framework was more-or-less the right one, and that in order to tackle immigration as a political issue, Labour needs to engage with wider questions like housing, inequality and labour market regulation. Damian Green should take note. I though Britain was ‘open for business’. We want an export-led recovery, don’t we? Green and the govt. have to understand that in education we export ‘goods’ not by sending items overseas but by students coming to study in Britain. The effect is the same: the British economy gains. Okay, maybe there are some students who abuse their student visas but we wouldn’t shut down customs and halve the amount of exports just because we know that some people may be using the system to export illegal goods. ‘More pressure on the fiscal position.’ No – less net immigration => less taxes, but also less public services to be provided, and we don’t know how these balance out. Unless you can show good data to demonstrate otherwise (and you can’t, because it doesn’t exist) this is just an assertion. ‘Under-staffed public services’ – eh? Did you know that we have an un/underemployment problem here in the UK? ‘Colleges and universities closing’. Your least misleading statement – but as you note, a huge number of student visas are for below degree level courses and to, ahem, ‘smaller colleges and institutions’. Maybe it’s better if they close. It’s fine to try to argue that getting net migration back down to levels somewhat below the unprecedentedly high levels of the Labour years is politically tricky. But why mix in the bad economics? “Unsustainable” Student Migration or a Gold Mine? | Kajsa H. A.